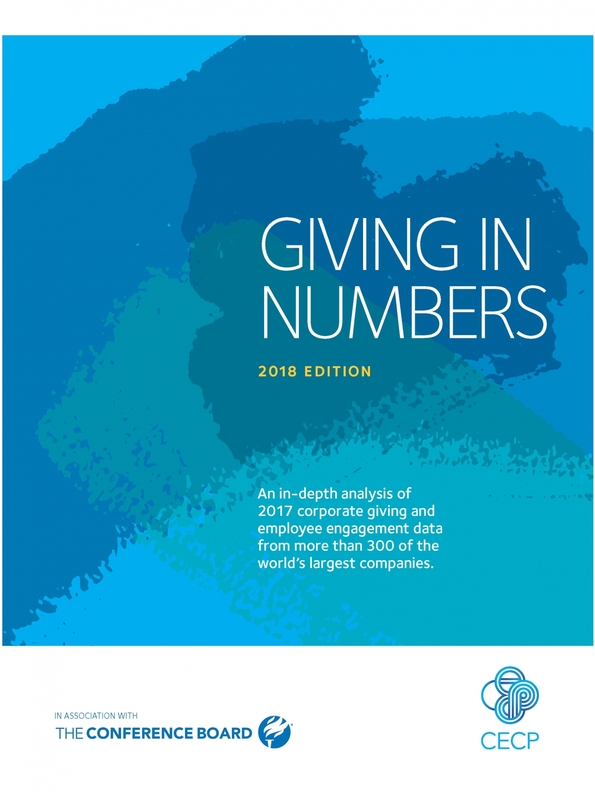 This content was initially published in CECP's 2018 edition of Giving in Numbers, the industry-leading report on the corporate sector's continuous support of society. With over 25 million refugees around the world, we face an unprecedented humanitarian crisis for which there are no simple solutions. This crisis calls for innovative, collaborative solutions, and Deloitte Touche Tohmatsu Limited has risen to this call to action. Deloitte’s core belief in action is that refugees are not just victims of unfortunate circumstance but are active members of society with potential and talent. Deloitte aims to unlock refugee potential and is working to understand the challenges refugees face as they seek employment in their new country. Through a study in collaboration with the Refugee Studies Centre at the University of Oxford (RSC), Talent displaced: The economic lives of Syrian refugees in Europe, Deloitte found that a significant number of surveyed Syrian refugees are highly educated and skilled, indeed 38% have university education—and yet the majority (82%) are unemployed. Deloitte’s findings suggest practical implications to better support the economic ambitions of refugees, from closing the language-training gap to providing mentorship opportunities. Deloitte has translated these findings to practice, supporting refugee-integration efforts throughout the company’s network. Deloitte in Germany has adjusted its hiring policies to provide the refugee community with employment and mentorship opportunities. Meanwhile, Deloitte in Canada has collaborated with public organizations to create a web portal that connects Syrian refugees with goods and services, particularly housing and employment. Symantec VP of Corporate Social Responsibility, Cecily Joseph, states that “as sustainability and impact professionals, we must recognize that equity is our joint responsibility and we have an opportunity to help lead our companies in making racial and gender equity the business norm.” Symantec demonstrates its investment in diversity and inclusion through its Symantec Cyber Career Connection (Symantec C3) program. Partnering with nonprofit training organizations that target underrepresented and under-resourced young adults and military veterans, Symantec C3 trains participants in cyber security fields for 26 weeks, with the end goal of job placement in the industry. As cyber security is one of today’s most in-demand fields, growing three times faster than other IT jobs, this is an incredible opportunity to fill a growing need—a need expected to reach a staggering 1.5 million open jobs by 2021. It’s also an opportunity to help change the trajectory of the tech workforce—specifically for women, minorities, and veterans. The Symantec C3 curriculum focuses on both technical and soft skills, from training in cyber security software and computer programming to interview preparation. Program graduates have opportunities to interview with a network of companies and, in 2017, 82% of graduates were employed in cyber security positions or pursuing additional degrees. The resulting talent pipeline is a win-win for both a fast-growing field and underrepresented young adults. Symantec C3 partnerships with education-focused nonprofits including Year Up and NPower raise awareness of these plentiful career opportunities, and helped Symantec reach its goal of educating one million students in STEM education in 2017. Launched in 2014 in alignment with Mastercard’s commitment to gender diversity and equity, Girls4Tech is Mastercard’s signature STEM education program that inspires girls around the world to explore careers in science, technology, engineering, and math (STEM). Girls4Tech leverages Mastercard’s own resources—showcasing its electronic payments technology and engaging its employees as role models and mentors—to engage girls ages 9 to 13 in a series of STEM challenges. Through stations showcasing algorithms, all things digital, fraud detection, local network intelligence, cryptology, and big data, girls gain exposure to fields they were unfamiliar with, and build skills needed to become problem-solvers. Mastercard is approaching gender diversity on a global scale and has reached 70,000 girls to date in 21 countries. The company is committed to reaching 200,000 girls worldwide by 2020. In addition to its external work, Mastercard leads by example through internal practice. As of the fourth quarter of 2017, it reported that nearly 40% of its global workforce and 30% of its senior management was female. It also reported that for every $1 earned by men, women employees earned $0.991. Mastercard is committed to the principle of equal pay for equal work and remains dedicated to practices to ensure pay equity. Interested in learning more about advancing Diversity & Inclusion through corporate social investment? Check out CECP's latest paper on Diversity & Inclusion here.